Although PLA and ABS remain the most widely-used filaments in 3D printing today, alternative materials have been starting to gain some popularity. One of these alternative options, PETG, has become popular due to its exceptional durability, good adhesion, and resistance to breakdown due to water and other chemicals. If you’re wondering what exactly PETG is and how to work with it, then you have come to the right place. PETG is a variation of the highly popular Polyethylene Terephthalate (PET). 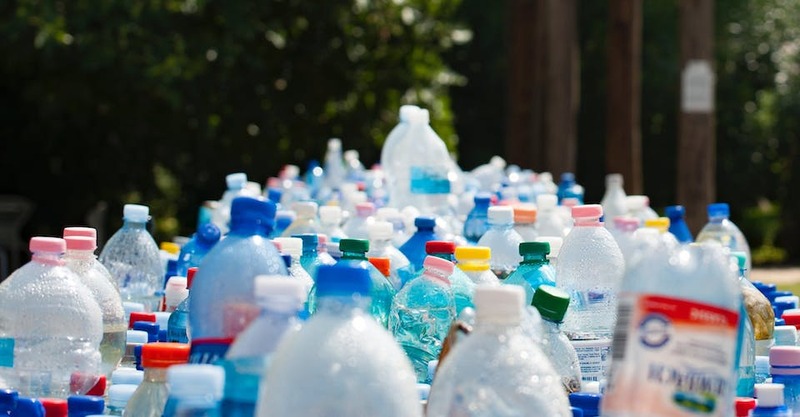 PET is one of the most common plastics in the world today, and is being used for food containers, water bottles, and even clothing fibers. Its high mechanical strength, resistance to extreme temperatures, and ability to restrict moisture, has made it and its several variations useful for the food industry, as thermal insulation material, or as precursors for engineering resins. Adding glycol during the polymerization process results in the formation of a “glycol-modified” PET, or PETG. The addition of glycol results in plastic that is more durable, less brittle, clearer, and easier to use. PETG has been widely used for outdoor signs due to its excellent printability and laminating characteristics. 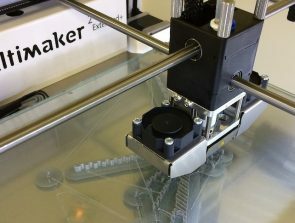 Other applications for PETG include medical and food containers, electronic devices, credit or gift cards, store fixtures, and prosthetic devices. As already mentioned, PETG provides durability and impact-resistance that is even superior to PET. Working with PETG is also easier than with PET, as PET tends to become hazy and brittle when overheated. The added glycol in PETG removes this limitation by preventing the material from crystallizing and therefore becoming easily breakable. Its temperature resistant characteristics also make PETG an excellent material for containers used in medical applications, as PETG can be sterilized or autoclaved without breaking down. PETG has shown good chemical resistance, whether from acidic or alkali substances. It also retains the excellent moisture blocking characteristic of PET, making it a good choice for containers for water or other drinks. It also makes for containers that are easier to grip due its softer and more pliable nature. In terms of the ease of working with in when 3D printing, the temperature resistance of PETG and its excellent layer adhesion has made it less prone to warping and shrinking. PETG filaments have been described as having a combination of the best properties of PLA and ABS: they are stronger and more temperature resistant, while still being easy to work with. Being a thermoplastic, one of the more interesting characteristics of PETG is that it is 100% recyclable. 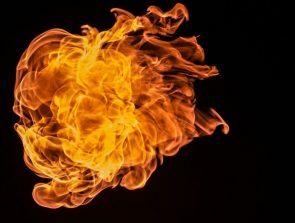 It can be shaped and reshaped over and over again by heating without causing any degradation to the material. This means that scrap material (such as supports) and misprints can be reprocessed into new prints, and this process can be repeated indefinitely. With its properties, we recommend using PETG filaments for printing products that may experience sudden or sustained stress, such as protective components and mechanical parts. PETG filament is also a good material when printing parts that are intended to come in contact with food material, such as cups and food containers. How do you work with PETG filaments? The first thing to consider when working with a PETG filament is to ensure that the printer model you are using is capable of extruder temperatures of 220 to 245 °C. The bed temperature must also be kept at 70 to 75 °C, or perhaps a little higher for the first few layers. For adhesion to the printing bed, we have obtained the best results from using blue painter’s tape. With or without heating, this method of adhesion results in a bottom finish that is fairly smooth. If you want a glossy, glass-like finish, then you will have to use heated borosilicate glass printing bed. For a heated glass bed, we recommend a temperature of 50 to 60 °C. A thin layer of unscented hairspray will also improve adhesion. BuildTak printing surfaces also work very well in providing adhesion for PETG prints. If you want your print to be exceptionally durable, we recommend printing with no cooling fan. Having the molten PETG come into contact with the previous layer at a high temperature results in very strong layer adhesion. The downside of this strategy is that it may be prone to stringing, resulting in a print that is less detailed or may need to undergo further finishing. To remedy this, we recommend printing without a fan for the first two layers, and printing with a cooling fan (at 100%) for all succeeding layers. The high printing temperature of PETG makes working with it prone to stringing, especially when the extruder nozzle is placed too close to the bed. We recommend leaving a gap of about 0.2 mm between the nozzle and the printing bed to allow more room the molten plastic to lay down. If this setting doesn’t work for you, we suggest moving the nozzle away from the bed in small increments until there is no visible stringing. If you are still experiencing stringing, then you may need to slow down the printing speed. We recommend a setting of around 55mm/s, or even as low as 15 mm/s. Another thing to take note is that PETG filaments are hygroscopic, meaning they will actively absorb moisture from their surroundings. PETG plastic needs to be stored in an air-tight container, such as a vacuum-sealed bag, with a couple of dessicant packs. Printing with wet PETG filament will lead to a product that is significantly weaker than expected. What are the limitations of PETG? The drawbacks in using PETG mostly has to do with finding the “sweet spot” for your printer’s settings to produce a print that is both durable and detailed. 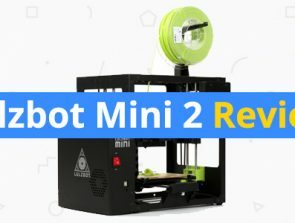 It requires very particular settings to get the best results with PETG printing. PETG is not as easy to work with as PLA, which means you will likely have to experiment for a while before you get good results. Once you get the settings that work, printing with PETG should be a breeze. PETG is a very bad choice of material for support structures, exactly because of its excellent adhesion. Removing support structures made with PETG can be very difficult, but not impossible. The resulting PETG print, although durable, can be weakened by UV light. If you are printing a product that is meant for constant outdoor exposure, you can expect its strength to decrease after some time. PETG products are also more easily scratched than those made from PET. 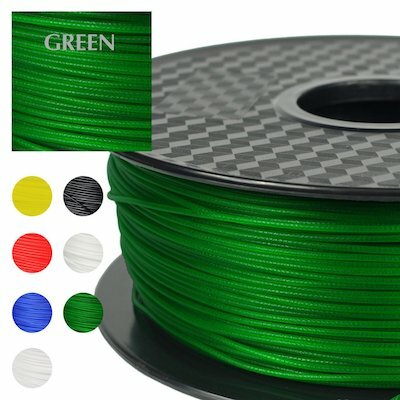 What are the best brands of PETG filaments? PETG is an easily manufactured material, and has developed a large market in 3D printing. Manufacturers have responded with a variety of PETG filament products, the best of which we are featuring here. The PETG filament product line by MatterHackers is one of the most popular today. It comes in an array of colors, such as white, green, and blue. 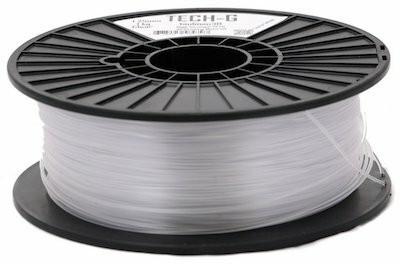 Their PETG filaments are sold in 3.00mm size and 1kg spools. 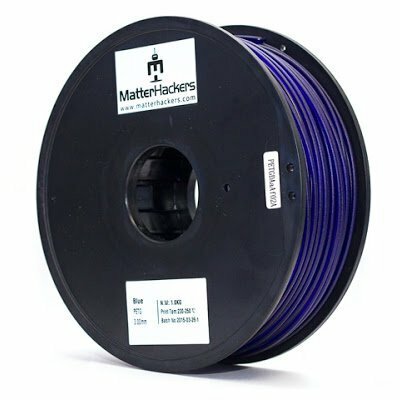 The MatterHackers PETG filament has performed exceptionally well both in terms of strength and appearance, making their product one of the top choices if you are in the market for a good PETG product. 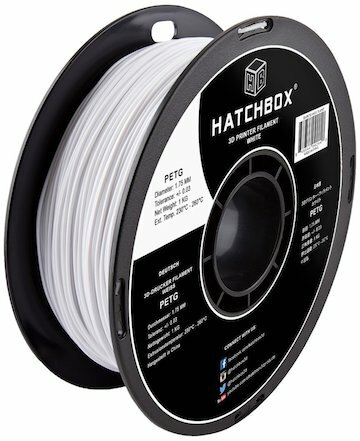 HATCHBOX is another well-known produced of 3D printing filaments, and their PETG product certainly does not disappoint. Their PETG filaments are also available in a variety of colors. They currently offer 1.75mm filaments in 1 kg spools. The XT series from ColorFabb is their line of PETG filament products. They boast highly durable products that exhibit temperature resistance and low odor emissions during printing. The prints made from the XT filaments deliver an adequate balance of mechanical strength and visual appeal. They are available in a variety of colors (including transparent), and are sold in both 1.75mm and 3.00mm sizes. 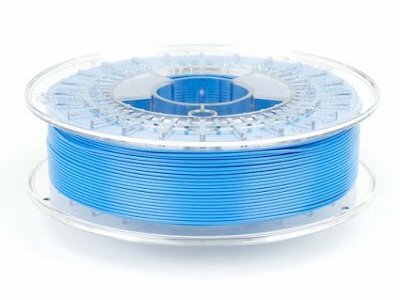 ColorFabb offers 0.75kg spools for their PETG filaments. Taulman 3D also has their own line of PETG filaments, marketed under their N-Vent line as Eastman Amphora 3D Polymer AM1800. Their N-Vent products are available in both 1.75mm and 3mm sizes, and in 1lb spools. There is also a great variety of colors available for the N-Vent line of PETG filaments. The PETG filaments sold by PRILINE are probably one of the cheapest in the market, making them good budget options. They are sold in 1kg spools of 1.75mm size, and are available in a wide array of colors. Although less expensive, the products by PRILINE still deliver on the standard strengths of the PETG material. More and more 3D printing users have started to realize the advantages of working with PETG filaments. Although they may be tricky to work with at the start as they are less forgiving than PLA in terms of printer settings, the effort it takes to hit that “sweet spot” is well worth it for prints that look great and have excellent mechanical strength. Prints made using PETG are sturdy but just have the right amount of give, making them extremely durable. The strength of PETG don’t end there: it has excellent layer adhesion, has less chances of warping or shrinking, and is 100% recyclable. If you are looking to go beyond PLA and ABS, we suggest taking PETG for a spin. 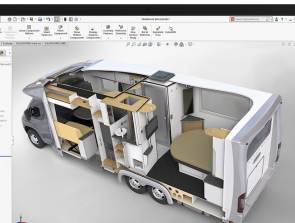 Solidworks Certification Levels – What are they and how to get one? Everything but the kitchen sink on info about PETG BUT, you left out a very important component; best material(s) for SUPPPORTING PETG.